Mr. Caffeinated refers to it as the “Women and Children First” tractor, because it’s a little small for him. I like it. I grew up on this same make & model. It’s only been here a few weeks, but it’s so Very Handy! 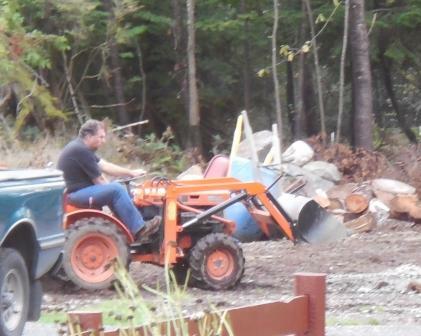 This entry was posted in Gardening, The Present Insanity and tagged kubota, tractor. Bookmark the permalink.